The House of Lords Communications Committee has just published its report into media plurality and few media moguls will be losing much sleep tonight. In its 82 pages, the Committee describes the issue very well – in terms of the need both to provide citizens with a proper range of information and to break up undue concentrations of power – but steps back from taking immediate or decisive action to tackle the problem. In a situation in which three companies control some 70% of daily national newspaper circulation, five companies control 70% of regional circulation and a single news wholesaler provides bulletins for the vast majority of commercial radio stations, pluralism is a problem to be addressed now and not simply to be measured later. This is especially urgent in the light of the evidence revealed to the Leveson Inquiry which showed how powerful proprietors are able to walk in the back door of Downing Street at regular intervals and to shape the news agenda according to their own ideological preferences. The Committee’s work reflects some of these arguments but, in the end, adopts a largely cautious approach to the problem. It recommends periodic plurality reviews to take place every four to five years that would assess the overall diversity of news media markets and identify any major plurality concerns. There would also be the possibility of ‘transactional reviews’ taking place in between reviews where serious issues arise from a proposed merger or acquisition. Here, Ofcom would look after any plurality implications while the competition authorities would examine the impact on the consumer. Indeed, Ofcom – and not the culture secretary – would have the final say in media mergers in a recommendation that is scarcely that shocking given the levels of correspondence between Jeremy Hunt’s office and News Corp lobbyists during the latter’s attempted takeover of BSkyB in 2010-11. The report makes it clear, however, that ‘only in the most extreme circumstances should interventions in the interests of plurality be imposed outwith the context of a transaction’ (para 209) while plurality reviews should be structured in order specifically to minimise the likelihood of any transactional reviews. The report does mention the possibility of forced divestment as a result of organic change and the mere appearance of that word in such a sober document is likely to set some pulses racing. I look forward to articles in the more excitable titles arguing that the House of Lords is calling for the break-up of our most precious institutions of press freedom. It is certainly interesting that the Report considers divestment as a possible option but it insists that divestment can only be considered when it can be proved that it is the ‘only way to remedy the problem’ and that it will be ‘effective in remedying the problem’ (para 211). One can imagine many obstacles – not least legal challenges – that would prevent this from ever taking place. Another reason for the gap between the potential for divestment and the likelihood of this ever happening is due to the Report’s insistence on adopting a highly fluid approach to measuring plurality that is based on a changing menu of metrics that will probably involve availability, consumption and impact. This will make it very difficult to pin down what, in the Report’s own words, might constitute ‘a severe concern for democracy’ (para 214). That there is a mention at all of divestment is a reflection of the concerns that have emerged post-Leveson about the unaccountable use of press power – it is surely a response to phone hacking, to meetings on yachts, to the deals done behind closed doors and to the continuing impact on both political and media culture of proprietorial power. Yet it is not at all clear that these recommendations will make it any easier to deal a decisive blow to the huge political influence exercised, for example, by the Daily Mail and News UK groups. Regulators, after all, already have the ability to judge a transaction as not being in the public interest and are able to rule that a media proprietor is not ‘fit and proper’ to run a media organisation. The Report does address at some length proposals from civil society for firm limits on media ownership and behavioural obligations to tackle media concentration but dismisses them as both too simplistic (that they rely on a single metric of audience share or of revenue) and as overly complicated (in terms of forcing very different kinds of organisations to adhere to specific responsibilities in a volatile market). Yet by insisting that plurality ‘cannot be reduced down to a single figure’ (para 121), the Report is effectively providing a get-out clause for the biggest providers because, without such certainties, they will otherwise be able to wriggle out of their responsibilities. Thresholds – such as the 20% upper limit a company should be allowed to have of a distinct news market that are accompanied by public interest obligations (for example on editorial independence) for all news providers with more than a 15% share (as suggested by the Media Reform Coalition) – would provide both clarity and flexibility. The Lords Report is a work in keeping with our post-Leveson times. It reflects the uncertainties and unease that increasing numbers of people feel about abuses of media power – including phone hacking, victimizing the unemployed in TV programmes like Benefits Street and the press industry’s own refusal to recognise the will of Parliament and instead to set up its own regulator in order to maintain its influence. The Report echoes these concerns but postpones their resolution; it asks some of the right questions but rejects the more radical and decisive answers. In four years time we can look forward to a plurality review. 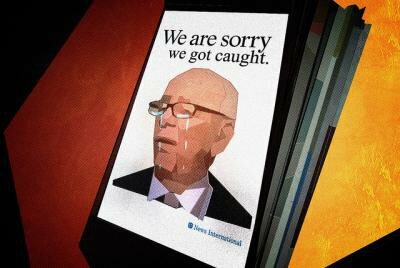 Before then, we can expect another bid from Rupert Murdoch to take full control of BSkyB giving him even more power over the UK media environment. And then there is the small matter of an impending general election where the terms of debate will still be shaped by a small handful of press barons who are fixated by the threat of Romanian migrants and Brussels bureaucrats. The British public deserves better than a further delay in tackling the grip of private media power on our daily lives.